India initiated plans Friday to auction 2G spectrum, a day after the country's Supreme Court ordered licenses and spectrum issued in 2008 to be canceled, as they had been purchased by business entities that manipulated the system. The Telecom Regulatory Authority of India (TRAI), the country's telecom regulator, asked for comments on the proposed auction by Feb. 15. The cancellation of 122 licenses in 22 service areas, which comes into effect in four months, will impact among others the Indian joint ventures of Etisalat, and Telenor. NTT DoCoMo's joint venture with the Tata Group will also lose licenses to operate services in some areas. The amount the foreign operators paid for their stakes was far higher than the Indian companies had earlier paid for the licenses, which were offered in 2001 at basement prices, the court observed in its ruling. Unitech Wireless (Uninor), which had obtained licences for 16.5 billion rupees (US$332 million), for example, offloaded a 60 percent stake to Telenor through the issue of fresh equity shares for 61 billion rupees between March 2009 and February 2010. The court ruled the licenses were illegal, and asked TRAI to make recommendations for the grant of licenses and allocation of spectrum in 2G band in the 22 service areas by auction. 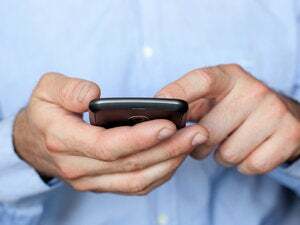 The Supreme Court order is likely to end the paralysis in decision making in the Indian telecom sector, Kamlesh Bhatia, principal research analyst at Gartner, said on Thursday. Some of the foreign companies may push for a better settlement, claiming that they only bought stakes in operators that had been earlier licensed by the government, some analysts said. The court's decision comes as the country's top investigation agency, the Central Bureau of Investigation, is looking into charges of corruption and irregularities in the allocation of licenses and 2G spectrum in 2008. A. Raja, minister of communications at the time, is in jail, awaiting trial. The CBI has been asked by the court to investigate allocations of spectrum and licenses from 2001. Telenor said Thursday that the court order affected 22 licenses that the company holds. "We are shocked to see that Uninor is being penalized for faults the court has found in the government process," its joint venture said in a separate statement. About five percent of India's approximately 894 million mobile subscribers are likely to be affected by the cancelation of licenses. Some of them will opt for transferring their mobile numbers to other operators, analysts said. The auction of 3G spectrum by the Indian government in 2010 earned more than $11 billion from private operators, with the bid for a license in Delhi as high as $728 million. India's spectrum-starved mobile operators, including top operators Bharti Airtel and Reliance Communications, are expected to bid at high levels for 2G licenses.